Being somewhat of a pessimist may be beneficial—or at least that’s how things happened to work out in Heather Davis’s case. “It’s often really overwhelming to think of all the terrible things that are happening in the world,” said Davis, guest editor for Le Merle and recent Concordia Communications doctoral graduate. 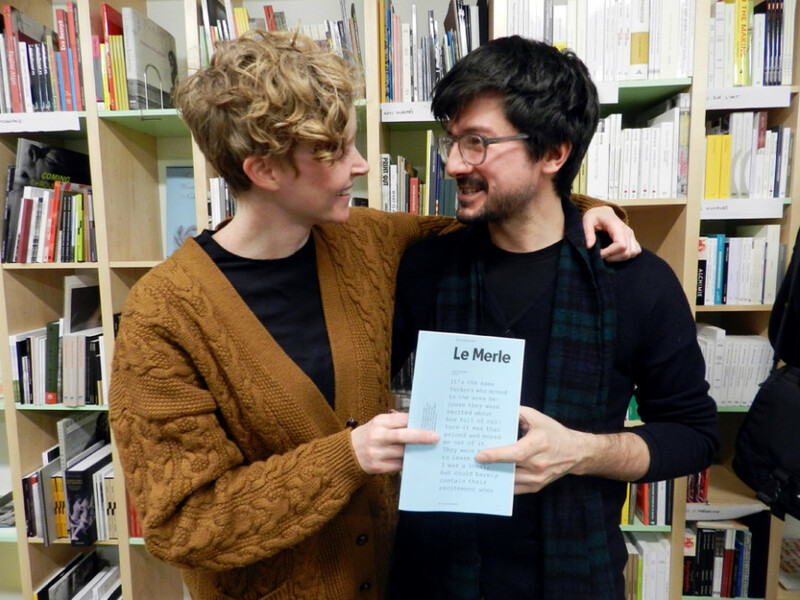 Le Merle —French for blackbird—is a small-run, Montreal-centric publication. [It discusses the relationship between art and politics, in what its creators describe it as a “book of words and deeds.” Their third issue launched Jan. 25 at local art book store Formats. Building a sense of community is arguably as important to a political movement as laying down ideological precepts, but Davis envisions Le Merle as doing both. “Beyond thinking of it as direct political action, it’s a space for people to riff off their experiences with art and politics,” she said. The new issue brings together art collectives, academics and activists from Montreal, Ontario and Europe in an examination of the 2012 Quebec student protests. The six different responses published in this issue range from poetry to scholarly essays and deal more or less directly with the theme. According to Davis, the multiple perspectives is one of the major benefits of building relationships with like-minded and engaged people. “A lot of us who contribute travel a lot; it brings part of our community to other places,” she said. So far, Le Merle has established links far beyond the city—like their relationship with Interference, an anarchist library in Brooklyn. They’ve also worked on their layout with with Carvalho Bernau, a design firm in The Hague, Holland. François Lemieux, creator of Le Merle, particularly appreciated being able to share his views on the 2012 student protests with the Dutch artists through the publication. “The only stuff they hear about is when it gets bad, like when a car gets burned or something—which is ridiculous,” said Lemieux. The publication can best be described as part zine and part academic journal. Lemieux said the inspiration came while he was enrolled in Interdisciplinary Studies in the Fine Arts department at Concordia and he ran an artist residency out of his home. A group interested in community involvement began to coalesce, and from there they formed a reading group to discuss academic articles that interested them. For their next issue, they hope to gather ideas and reflections by attending the Colloques de Cerisy, a philosophy conference in France. For now, though, they’re not certain if and when there will be a next issue because of struggles with funding and publicity. The sales currently don’t cover production costs—especially when accounting for the professional work put in by such a group of highly qualified and passionate individuals. “[Lemieux] created it purely through friendship, it’s a labour of love,” said Davis. The issue is currently on sale in Montreal at Formats (2 Ste. Catherine St. E., #302) and Drawn & Quarterly (211 Bernard St. W.).